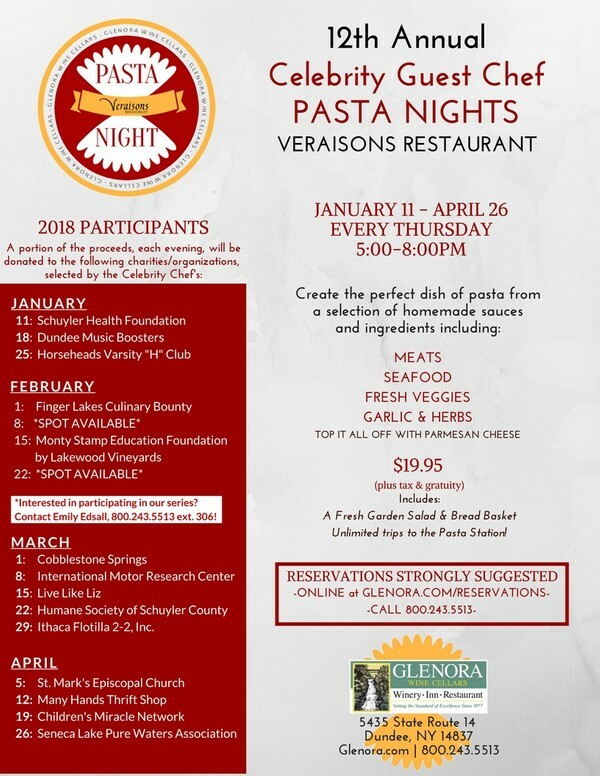 Every Thursday, local celebrities will be front and center to serve guests their freshly created dish of pasta. A portion of the proceeds, each evening, will be donated to the charity of the Chef’s choice. At the conclusion of the series, Glenora Wine Cellars will match the donation to the charity that brings in the most patrons. 3/29: Ithaca Flotilla 2-2, Inc. Interested in becoming a part of our Celebrity Chef Series?